Blogger is a blog platform product of Google. 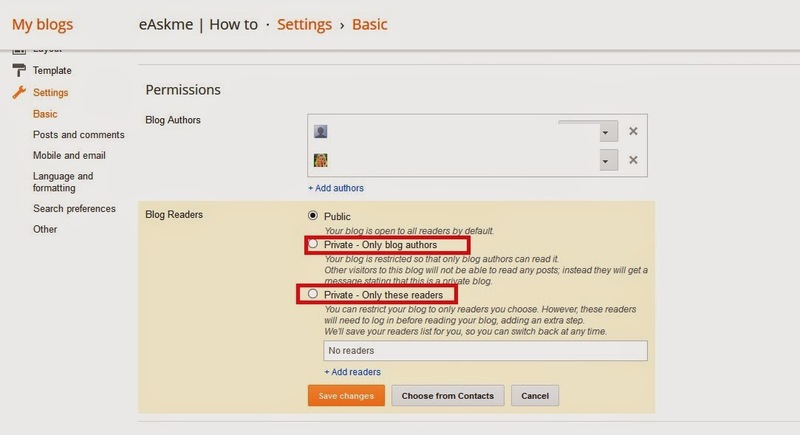 Blogger is easy to use and customizable. How to Set a Private My Post in Blogger ? Go to "Blog readers" then "Who can view this blog?" Select "Only readers I choose".